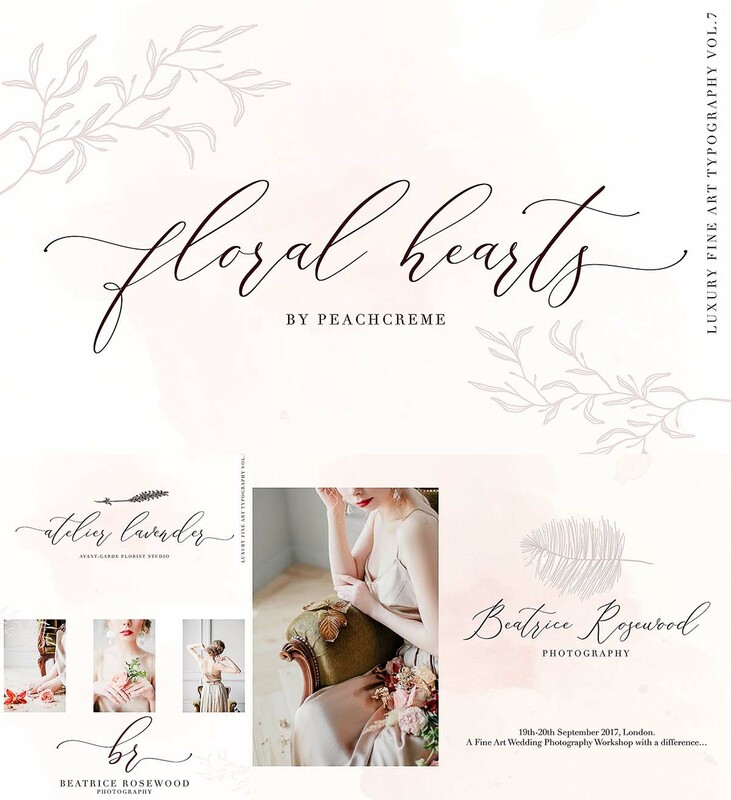 Floral Hearts script is a modern calligraphy font with contemporary, sophisticated accents. It is perfect for branding, wedding invites and cards. 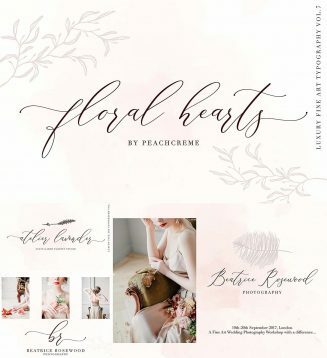 Tags: calligraphy font, elegant script, love fonts, modern calligraphy, modern font, wedding font, wedding invitations, wedding invites.